Do you want healthy, youthful skin with a routine that suits your lifestyle? Dermalogica can provide exactly that. 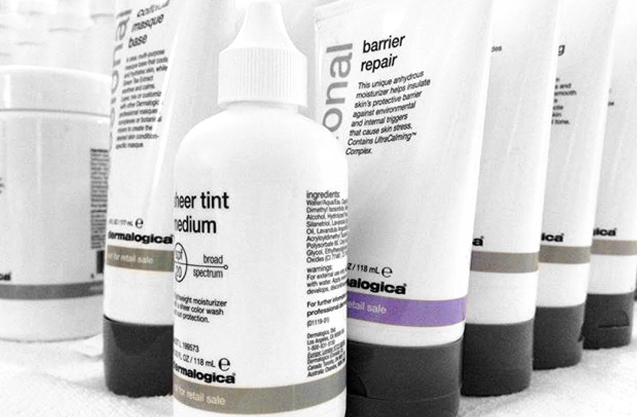 Dermalogica skin care products have been created from the best of science and nature. The products are professional yet uncomplicated and aim to achieve complete skin health, not matter your skin type or concern! Dermalogica is the number 1 choice for skin care professionals, that’s why they are the only products we use for facials at Ibiza Beauty & Massage! All of our facial treatments include FaceMapping Skin Analysis, a unique concept to Dermalogica, Face Mapping is more than a skin consultation. It allows one of our expertly trained therapists to analysis your skin, explore the causes behind any conditions and customize your facial treatment and homecare recommendations.